Raffle tickets are only $25 each. You could win the Grand Prize M4 GTS, an M2 with a full complement of M Performance Parts, or an M235i! There is no limit to the number of tickets you can purchase, and proceeds benefit all the BMW CCA programs you know and love to keep the Club fun, exciting, and accessible for members across the United States. Over the past fifteen years, 105 prizes have been awarded to lucky BMW CCA members. With chances like that, can you afford not to buy a ticket? Find out more information about the BMW CCA Car of Your Dreams Raffle and purchase your tickets today! Watch the fastest street-legal BMW tear up the track at the BMW Performance Center. 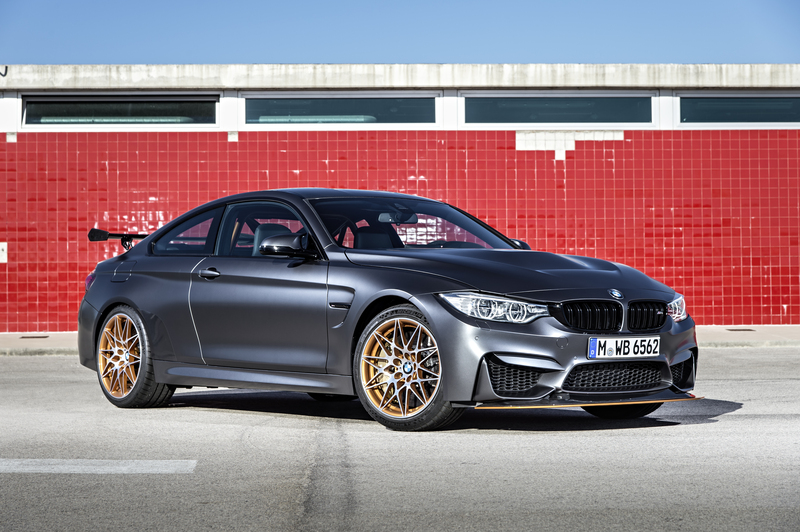 To hear the BMW M4 GTS’s exclusive racetrack soundtrack, visit: http://bit.ly/1TfrKfn. Making its North American debut, the all-new BMW 330e features a plug-in hybrid drive system offering typical BMW driving dynamics and outstanding efficiency. The innovative use of an electric motor and the BMW TwinPower Turbo 4-cylinder engine results in a total system output of 248 bHP and 310 lb-ft torque. BMW 330e accelerates from 0-60 mph in 5.9 seconds. In everyday driving condition, a total range of up 373 miles is attainable. The 2016 BMW 330e will arrive in US showrooms in Spring 2016. The all-new 2016 BMW M4 GTS is an exclusive technological masterpiece, which elevates the performance of the BMW M4 Coupe to an impressive new level, making its North American Debut in Los Angeles. With its powerful, motorsport-inspired looks and high-performance technology, the BMW M4 GTS has its sights set on the racetrack. The BMW M4 GTS makes use of the multi-award-winning M TwinPower turbo engine utilizing an innovative water injection system that boosts power to 493 bHP. The track ready chassis and unbeatable engine performance ensured a lap time of 7 minutes 28 seconds around the legendary Nürburgring-Nordschleife. This special edition is limited to 700 units worldwide, with 300 units of the exclusive high-performance Special Edition M4 available in the US market. The 2016 BMW M4 GTS will arrive in US showrooms in Spring 2016. The BMW X1, making its North American debut, is the second generation of its successful predecessor model and features more robust overall proportions, more interior space for passengers and luggage alike, and additional innovative connectivity and groundbreaking BMW EfficientDynamics technology that is unparalleled in the segment. The BMW X1 xDrive28i will feature a 2.0-liter, 4-cylinder TwinPower Turbo engine producing 228 bHP and 258 lb-ft of torque mated to an 8 speed Steptronic automatic transmission, enabling the newest X family member to accelerate from 0-60 mph in 6.3 seconds. The engine is coupled with the new BMW xDrive intelligent all-wheel-drive system and newly developed chassis technology, which enhances sporting ability and ride. The MSRP for the BMWX1 xDrive28 will be $35,795 including Destination and Handling with an on sale date of October 24, 2015. The all-new BMW 7 Series is the brand’s flagship in its sixth generation and once again sets the standard for luxury performance, delivering the highest level of driving refinement in the premium class. It will be making its North American debut in Los Angeles with an on sale date of October 24, 2015. 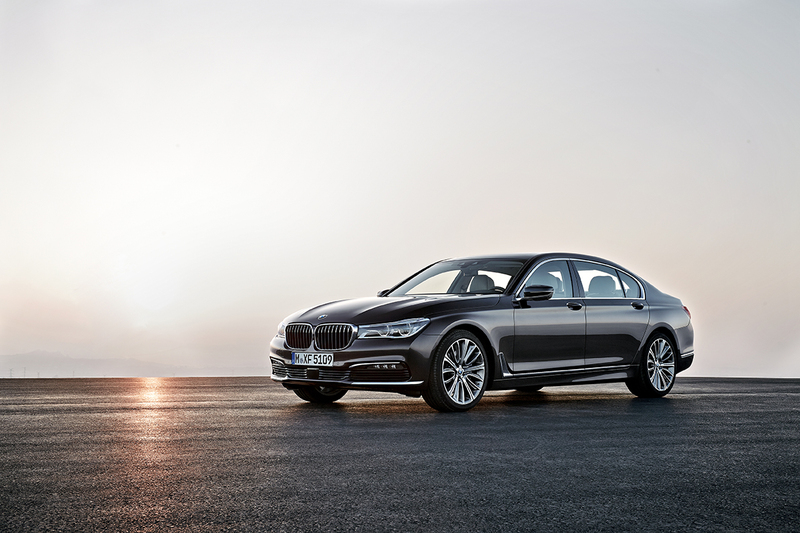 The 2016 BMW 7 Series sets a new benchmark in lightweight design, driving dynamics, comfort, intelligent connectivity and intuitive operation. The BMW EfficientLightweight concept allows the new BMW 7 Series line-up a 190 pounds weight reduction in comparison to its predecessor. Groundbreaking Carbon Core passenger cell technology is the key element on the body structure by the extensive use of carbon-fiber-reinforced plastic (CFRP) and the strategic application of lightweight design to reduce weight and increase both the overall torsion strength and bending stiffness. Featuring BMWs newest and pioneering technologies such as Gesture Control, Wireless Charging and Display Key. An Active Kidney Grille will also be available for the first time in the US. The MSRP for the BMW 740i will be $82,295, the $95,395 for the 750i Sedan and $98,395 for the BMW 750i xDrive all including Destination and Handling. The BMW X5 xDrive40e the company’s first eDrive Sports Activity Vehicle, charts the next chapter of BMW’s ongoing EfficientDynamics initiative. 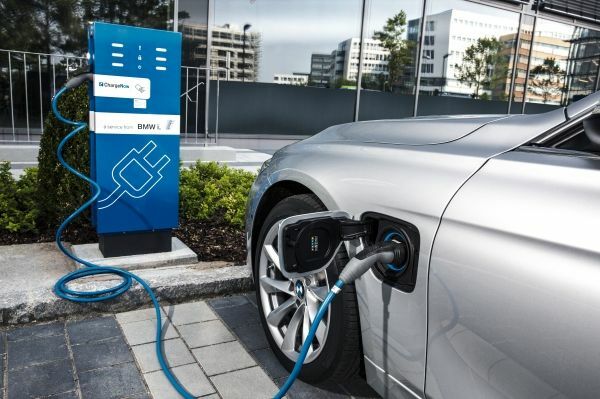 Benefitting from the groundbreaking work with BMW i on electromobility, the X5 xDrive40e combines the company’s award-winning 2.0-liter TwinPower Turbo four-cylinder engine with an electric motor integrated into its 8-speed automatic transmission. 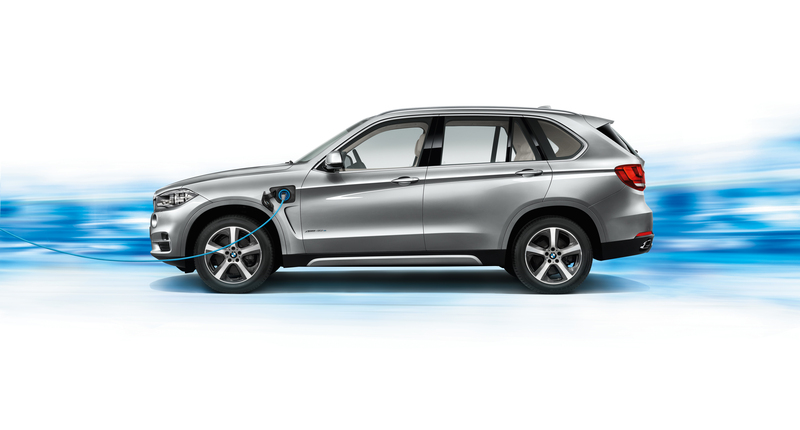 The BMW X5 xDrive40e can travel approximately 13 miles on pure electric propulsion, powered by a lithium-ion battery, ideally suited for short commutes and quick trips around town yielding an impressive 56 MPGe. Combined, the gasoline engine and electric motor put out 308 horsepower and 332 lb-ft of torque, enough to propel the X5 xDrive40e from 0-60mph in just 6.5 seconds. 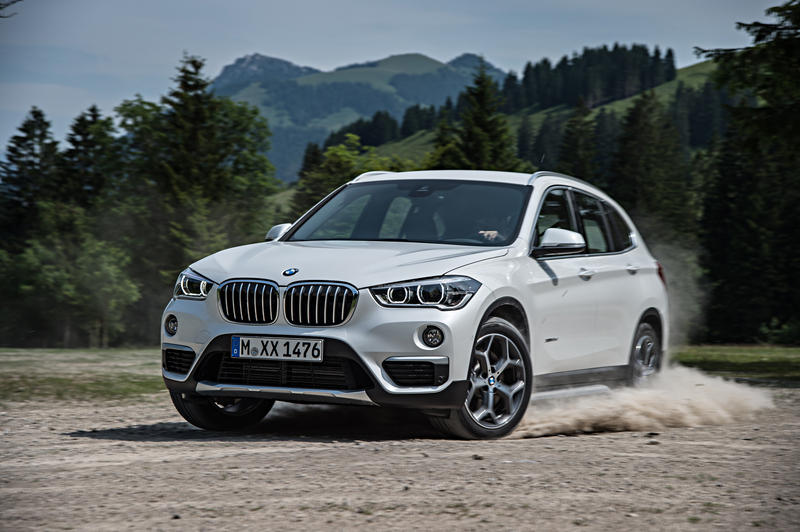 This Sports Activity Vehicle features BMW xDrive, the company’s intelligent all-wheel drive system, for optimal stability and traction under all road conditions. The 2016 BMW X5 xDrive40e is available in US showrooms for $63,095 including Destination and Handling. The BMW i8 is the first eDrive 2+2 sports-car from BMW. It sits at the pinnacle of the BMW i lineup of visionary vehicles which are purpose built from the ground up as electric and hybrid electric, constructed primarily from lightweight carbon fiber. Currently in showrooms and priced at $140,700 plus Destination & Handling, the MY2016 BMW i8 features Laser Lights available as an option for the first time in the US, enhancing its athletic design and sleek, low slung exterior. The BMW i8 operates with extremely high fuel efficiency boasting a US EPA rating of 76 MPGe combined. It is capable of accelerating from 0 to 60 mph in 4.2 seconds on the way to an electronically governed top speed of 155 mph. The BMW i3 is the first fully electric vehicle from BMW Group. Constructed from the ground up primarily from lightweight carbon fiber, the BMW i3 features a 170 horsepower and 184 lb-ft of torque hybrid-synchronous electric motor that propels the vehicle from 0-60 mph in approximately 7.2 seconds. The BMW i3 is electrified by a 22-kWh lithium-ion battery, will travel approximately 81 miles of emission-free driving. The BMW i3 offers interior space comparable to the legendary BMW 3 Series on a shorter overall body. Its 32.4-foot turning circle and a relatively long wheelbase make it agile and engaging to drive, yet ideally suited to driving in dense urban areas. With a combined rating of 124 MPGe, the BMW i3 is the most efficient electric as rated by the US EPA. Currently in showrooms, the BMW i3 has a base MSRP of $41,350, before any federal or state incentives, plus $995 for Destination & Handling.